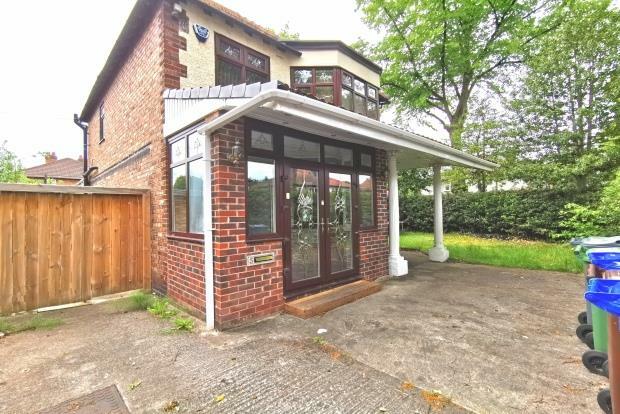 3 Bedroom Semi Detached House To Rent in Manchester for £1,395 per Calendar Month. A three bedroom detached property which has been refurbished to make this home a fantastic place to live. Close to good local schools and shops, great transport links to Manchester city centre and Manchester Airport. The property has been extended on the ground floor to make a large kitchen and family room. There is also a second reception room with feature bay window. To the first floor there are two double bedrooms with fitted wardrobes and a further third bedroom also a family bathroom with modern suite. Fully double glazed and warmed by gas central heating. Further benefits include a driveway providing ample off road parking to the front, and an enclosed lawned garden to the side and rear aspect. The property is offered unfurnished with white goods included. Call 0161 832 6900 to arrange your viewing!